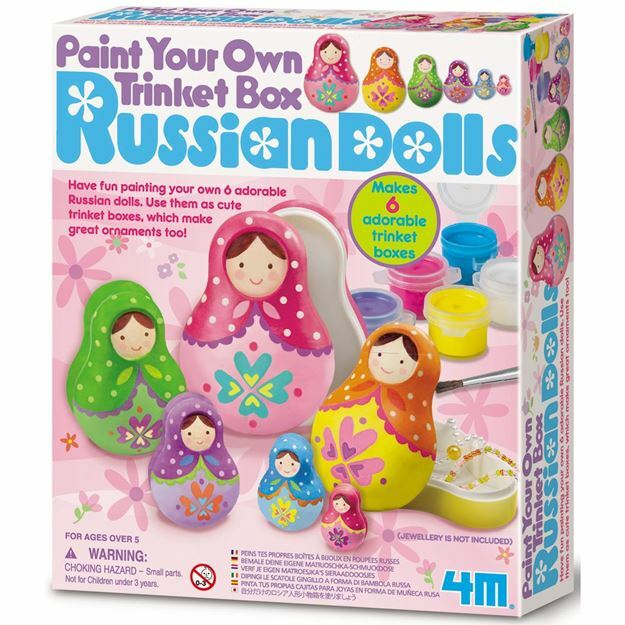 Have fun painting your own 6 adorable Russian dolls with 4M. Creates great room ornaments and cute trinket boxes. Includes: 6 Russian doll trinket boxes, a 6-colour paint strip, paintbrush & detailed instructions. Age 5+ years. Distributed in New Zealand by Holdson.